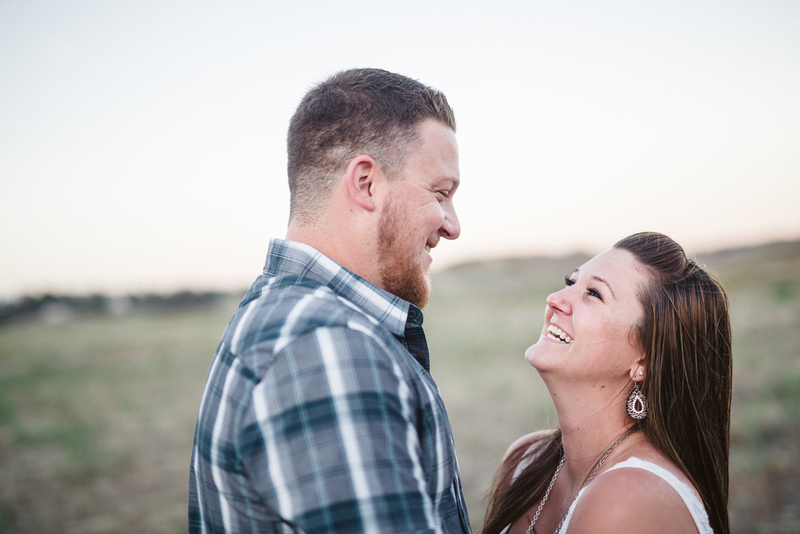 Eric & Crystal, Temecula Engagement, 30 days till the wedding! In exactly 1 month Crystal and Eric are going to be tying the knot! I cant wait Talk about a fun couple! We originally had plans for a different location but when we arrived they said they would be closed for the evening and we would not be able to shoot there. So I suggested we go to this place nearby and do the shoot instead. They obliged and it turned out better than any of us could have hoped, especially with a last minute change in plans! The whole time we were joking and having fun and it was such a beautiful day as well. By the time we were done Crystal looked at Eric and said "I dont think I have ever seen you smile in pictures before, and you were smiling the whole time!" I love getting to be around such awesome people all of the time! I cant wait for there wedding next month! Maneka and Mayur's engagement at crystal cove and Table rock beach in Laguna Beach California. The bride and groom to be were both stunning and we had such a great time working with them! I can't believe how perfectly everything came together for this match made in heaven. You could not have asked for a prettier day! I had met Jeanann through a networking event and found out she was recently engaged. After settling on a date that her and her fiancé were both available we set the location for Laguna beach. I was totally blown away by how beautiful her dress, hijab and hair and makeup were! WOW! Then I was finally able to meet Nasser a professional from the Bay area (standby for a San Fran shoot) he was courteous and as it turns out super funny and outgoing! We all had a great time chasing the light. and finally the session ended with an amazing sunset. I can't wait to work with them both again! My wife and i took a trip this weekend up to the Bay area this weekend to see a dance company that she had previously worked with perform in the city. After we stayed with my brother-in-law and his girlfriend CJ who is also our most excelent friend as well in Monterey. These are just a few photos from walking around. Shot with the Sony RX1 and processed with VSCO on my ipad. This is my real world review of the Sigma 50mm Art. It has become my go to camera lens for my everyday shooting needs. Even though it is anything but lightweight, or compact, it has a look that I love that makes it worth carrying everywhere for those daily moments and a favorite for weddings and engagements. A quick shout out to my good friend Dr. Wagner at Spinal Vitality. I know that this isn't your typical subject matter for a photography blog, but I did take the photo in this article. Seriously though, why am I writing about a chiropractor? As an event photographer and a former Marine my body hurts. Dr Wagner has helped me to be able to manage my back pain to a point that I had previously given up on. With this being said, please take a minute to read about Dr Wagner and what he does. Dr. Wagner isn't your typical Chiropractor, he uses a specific type of gentile chiropractic, NSA, that doesn't involve your typical cracking and popping. It is more like he teaches you how to release your spinal tension through guided movements, breathing and increasing your body self awareness. I was a bit skeptical at first but decided to give it a try because I was just that desperate for pain relief. Shot with my mobile kit, a Canon 6D + 50mm Sigma Art lens @ f2.2 with a canon 600 EXRT in an 18" collapsible octabox. Edited in VSCOCAM on an iPad Air two. As some of you know I was in the Marine Corps Infantry for 5 years with 3 deployments. That did quite a number on my back and joints. Before I started treatments I was having trouble sleeping because of pain. My back, and knees constantly hurt. Before every wedding or photo shoot I would start off by taking a couple of over the counter pain meds and following those with another two halfway through the shoot. Then for the next few days I would be miserable. As you can imagine I was irritable and didn't want to be social because I would rather not suffer through the pain of being out. Fast-forward two moths of treatment and I couldn't be happier with the reduction in my pain levels. Don't get me wrong after a 10 hour wedding I am still sore, but not even close to what it used to be. Now I finish a wedding feeling better than I used to feel before I would even start shooting a wedding. Before I started working with Burton, the day after a wedding I would ask my wife to try to work out the spots in my back with pain rubs which helped but never totally fixed it. Now I maybe stretch a little before I'm ready for anything, a far cry from the 2-3 days of post wedding recovery I used to go through. So this shout out is for someone who has increase my ability to manage my pain. Thank you Dr Burton Wagner, you have given me the ability to live without pain again. If you live in the South Orange County area and want to see for yourself you can reach him here. It's about time I start blogging!